Multiple choice questions on the properties of the graphs of trigonometric functions with answers at the bottom of the page. What is the period of the graph shown below? 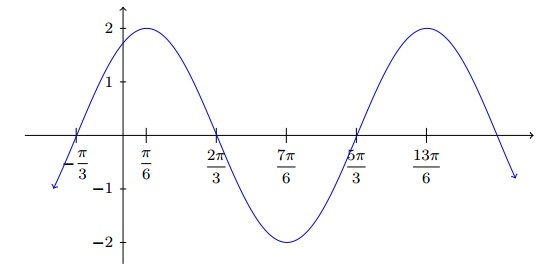 Which of the functions below represents the graph below? Which of the trigonometric functions correspond to the graph shown below? Which of the functions below correspond to the given graph? What is the period of the graph below?